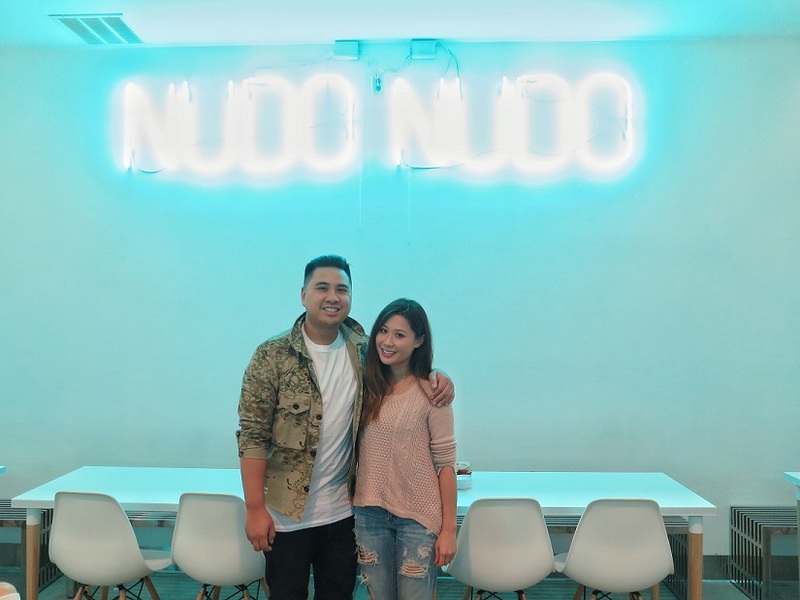 This is not your ordinary Asian pho shop. Nope! Nestled in the center of Little Saigon, upon entering this place, you'll notice right away the clean black and white aesthetic of the place. And let's not forget the neon blue signs and funny restaurant sayings (even on their chopsticks). I came here the other night for their soft opening to support my friend Andy Nguyen, one of the founders of Afters Ice Cream and the GD Bro Burgers shop, on his new business venture! 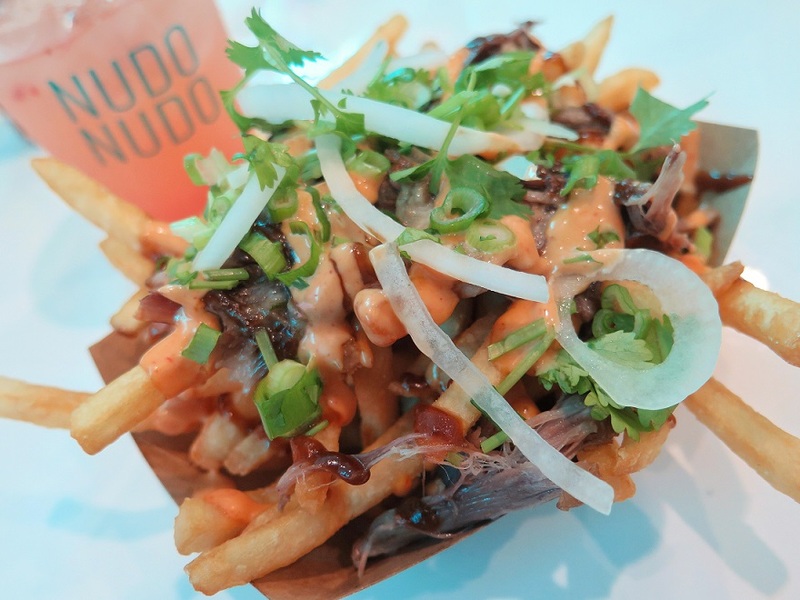 So what's at Nudo Nudo, you ask? They carry over 10 different pho noodle soups, a ramen dish, appetizers, and drink options. Plus side dishes where you can add more good stuff to your meal like a fried egg in your pho bowl (yup, you heard that right)! Before you leave though, you must, and I mean must, try their oxtail fries. It's SO good; I already want some more and their strawberry plum lemonade. Order me some to-go, please. Unfortunately, I didn't get to stay long to try out the soups (just landed from Vegas and had to head out to Bebe's #BeIconic event afterwards) but I'll be back soon. Cause I do love ramen and this place is very close to me so you know where I'll be! 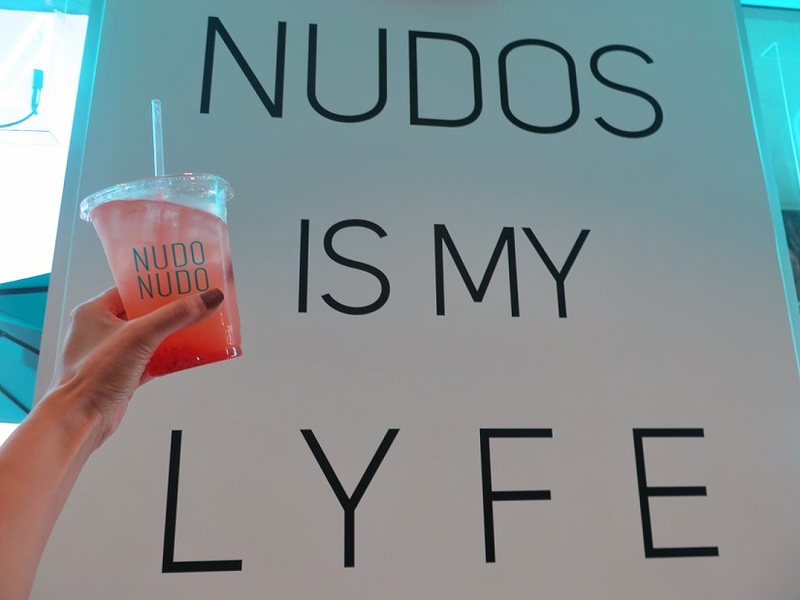 Come on out and try Nudo Nudo the next time you're in the city. Grand opening is on Saturday, November 7th at 9am! ***Thanks Andy for inviting me and congrats on your new business! What are you going to order? The next time I'm there, I'm so getting the ramen with everything! 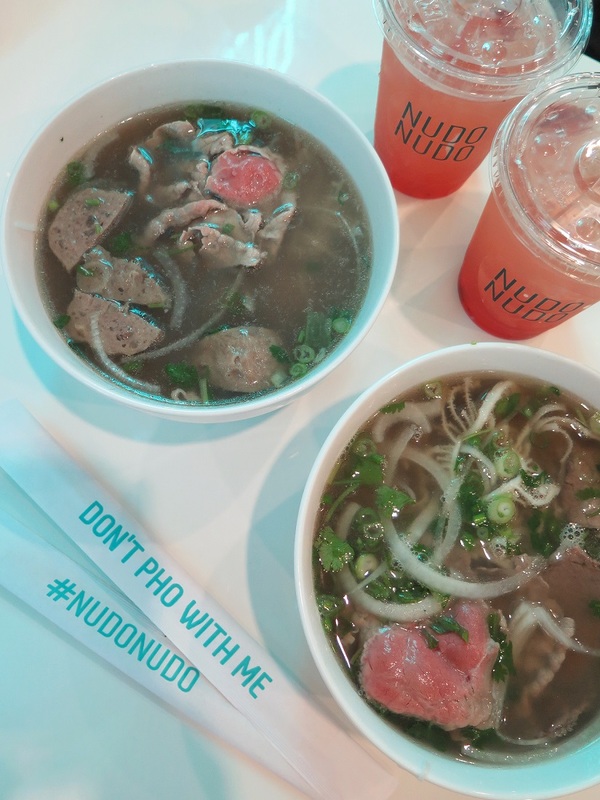 CHECK IT OUT: Nudo Nudo, 9393 Bolsa Avenue, Westminster, CA.